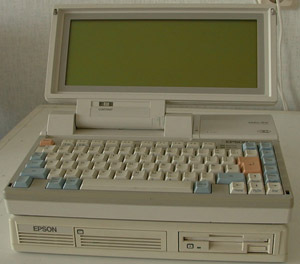 When Epson introduced the PX-16, they already had a long history in portable computing. 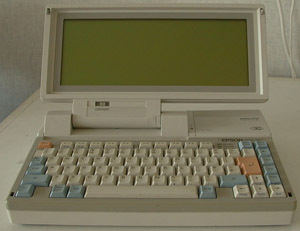 The HX-20, PX-4, PX-8 (Geneva) are pre IBM-compatible machines (PX-4 and PX-8 are CP/M machines). The PX-16 is IBM PC-XT compatible but different from most comparable machines. The basic machine has no floppy or hard disk, but MS-DOS 3.2 in ROM and a RAM disk for file storage. 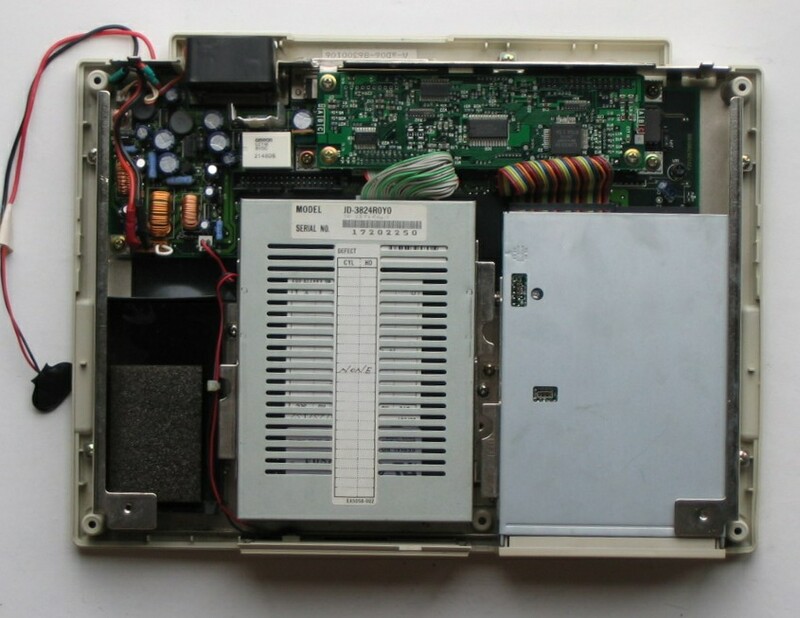 My machine also has a PCMCIA like interface for RAM or EEPROM cards. The normal Epson extension for this slot is a printer. The PX-16 has a battery pack for operation, an internal battery for memory retention and a 5V input for charging. The disks are in a separate box, which can be attached to the PX-16 bottom. A special 80 pin cable connects both parts. The disk unit has its own set of batteries which are charged via the 80 pin cable. Front Information on the PX-16 is scarse on the Internet. Epson has nothing (apart from an accidental occurance in some list). The PX-16 seems to be targeted at the field service engineer. I deduce that from the multiple options to customize it for specific tasks. One such an application I heard from a PX-16 user was controlling a Pager System at a broadcasting company and an airport, both in the U.K. 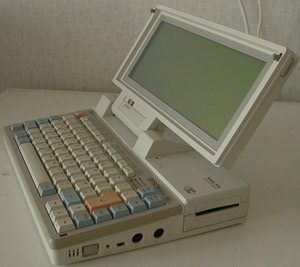 The cartridge port was used for the propriatary interface and software in the ROM sockets. This system was still operational in 2004. As was the case with the PX-4, the PX-16 was probably not or very limited marketed in the U.S.A.
Mitsubishi 60-Pin MEL-Cards (SRAM). As modern PCMCIA cards are 68 pins, this is a fairly non standard article. Info in the current MEL-Card family: www.melcard.de. A Texas Instruments MC1128K160-20 does not work :-(. The card is detected, but formatting fails. Normal (68 pins) PCMCIA cards are not even detected. 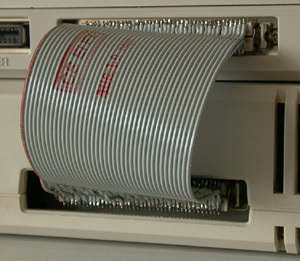 With disk unit The floppy is a 720KByte DD drive, the harddisk a 20Mbyte type. single and dual floppy configurations were also an option. 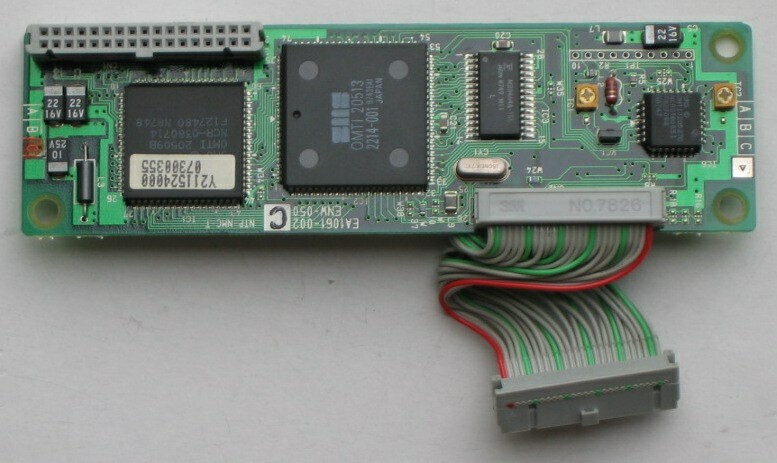 The Hard disk interface board contains some analog like circuitry and an OMTI chipset, so I assume it is an ST-506 derivate. 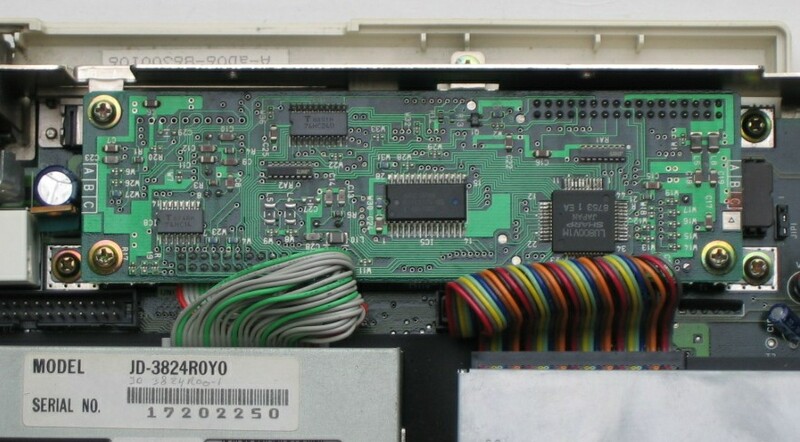 Info on the 26-pin HD interface. Both the base unit batteries as the disk unit batteries were unusable due to shorts in the cells. By "zapping" the shorts, the battery can get usable again. This extended life span is very limited, but ok for demo purposes (the alternative is throwing the battery away and buy a new one). See the links below for more info on NiCd batteries. Zapping the shorts. How to fix shorted cells. Vashurin Vladimir's site original scanned & OCR'ed Operating Instructions and some extra info like the printer port pinout.